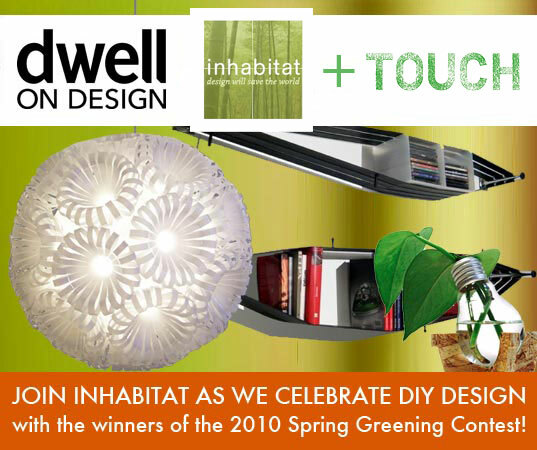 Conference goers at this year’s Dwell on Design event will have ample opportunities to do some shopping, and thanks to a unique collaboration with Touch in Culver City (who helped curate our booth this year), Inhabitat will also be setting up shop at our Spring Greening Pop-up Gallery at booth 2004! Drop by this weekend to say hi and check out our awesome eco goods along with our Spring Greening Contest finalists! 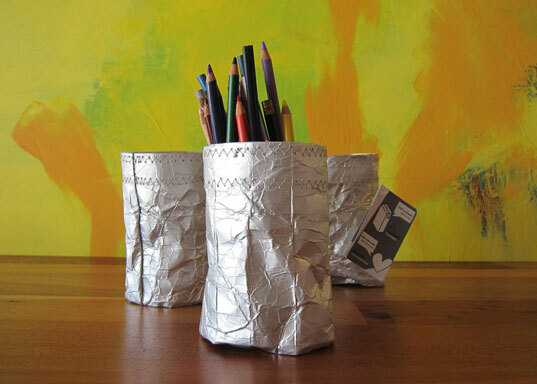 Cilindros is a trio of cylindrical containers made from recycled milk cartons that is a part of Blindesign’s, “Return to Packaging,” collection. Cartons are collected from various different organizations, they are then cleaned and distressed by handicapped individuals as part of their rehabilitation. The final material is sent to a women’s prison where it is stitched into the resulting product. 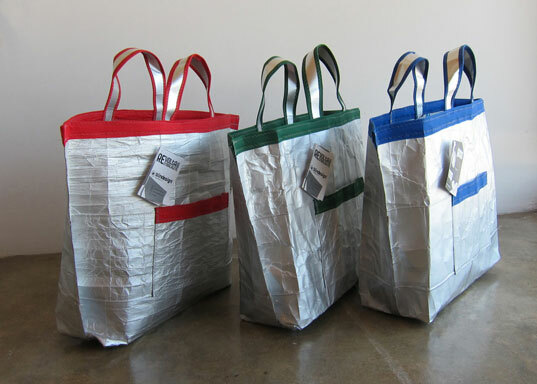 Also from Blindesing, the Alcofa Tote offers individuals a fashionable way to make milk cartons a great accessory. These handmaid treasures are truly unique, each one is a great example of social sustainability and recycling done right. 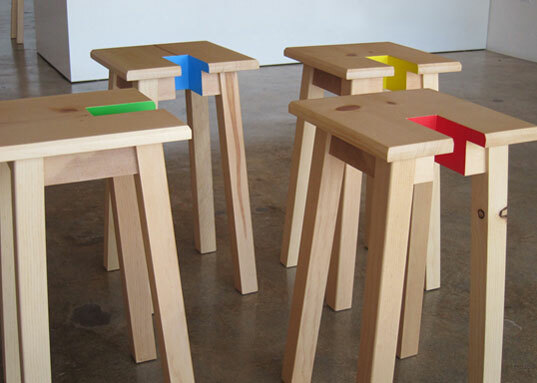 The cleverness of the Open Stool is discretely concealed within a splash of color, which turns the ordinary stool into the perfect door stopper. Designed by Studio Verissimo in Portugal and assembled locally by Touch, the Open Stool is manufactured Los Angeles using FSC-certified sugar pine. Conference goers at this year's Dwell on Design event will have ample opportunities to do some shopping, and thanks to a unique collaboration with Touch in Culver City (who helped curate our booth this year), Inhabitat will also be setting up shop at our Spring Greening Pop-up Gallery at booth 2004! Drop by this weekend to say hi and check out our awesome eco goods along with our Spring Greening Contest finalists!